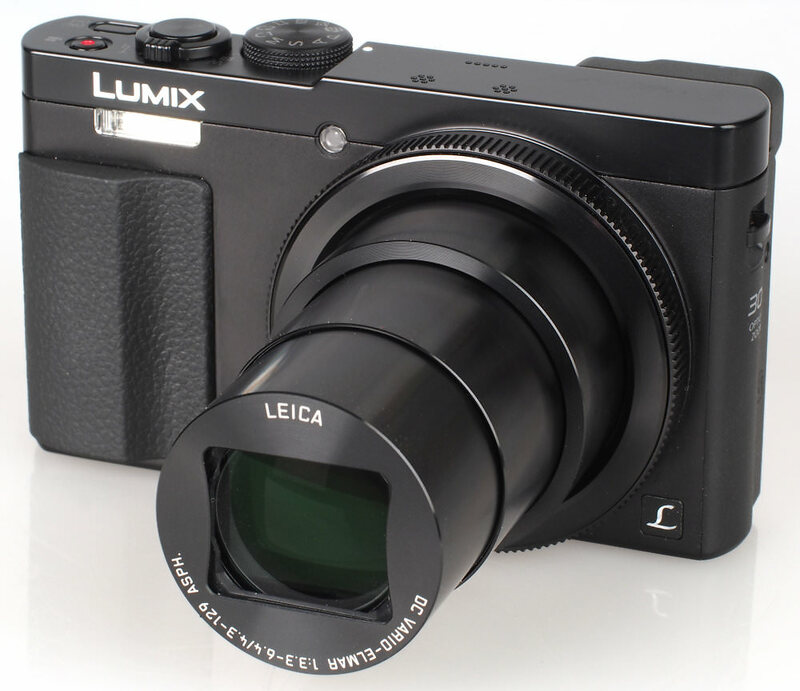 The Panasonic Lumix TZ70 offers a 30x optical zoom lens, built-in Wi-Fi, a high-resolution electronic viewfinder as well as a lower resolution 12.1 megapixel sensor. Say what? Yes, a lower resolution sensor. 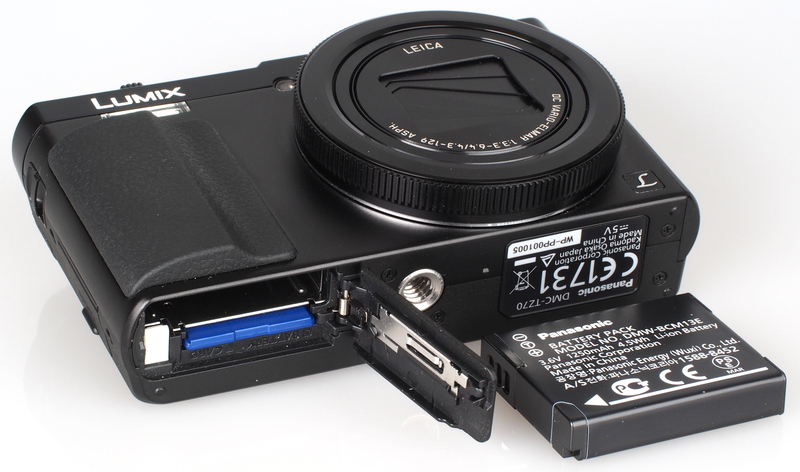 The Panasonic Lumix DMC-TZ70, announced in January 2015 updates the TZ60, and is a premium compact camera with a 30x optical zoom lens and a 12.1 megapixel high sensitivity MOS sensor amongst a long list of other features, which also includes built-in Wi-Fi and electronic viewfinder (EVF). The TZ70 is available for around £349. The Panasonic Lumix DMC-TZ70 (aka ZS50) has a 12.1 megapixel high-sensitivity MOS sensor, with extended ISO speeds for improved low-light performance, and a 30x optical zoom lens, which is a 35mm equivalent of 24-720mm. To keep images sharp there is hybrid optical image stabilisation with 5-axis correction. In continuous shooting mode the TZ70 can record up to 6 images at 10fps. There are a number of shooting modes. To make picture-taking as easy as possible, there is Intelligent Auto mode, which adjusts the camera settings for the detected scene. 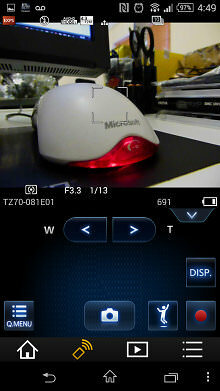 There are a range of scene modes to pick from, which include HDR and handheld night scene. For full control over your shooting there is full manual control, so you can adjust the shutter speed and / or aperture. 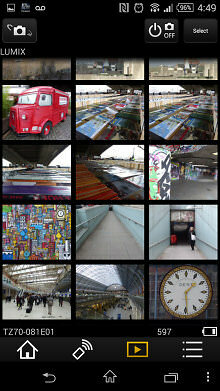 For unique picture taking there is the creative control mode - this includes many photo styles such as expressive and impressive art. There is also a panorama shot mode, which automatically stitches pictures together. The TZ70 comes with built-in Wi-Fi which lets you shoot remotely and transfer images to your tablet or smartphone. Connecting the camera to your smartphone or tablet is made easy via NFC, or if your mobile device isn't compatible, you can connect by scanning a QR code from the camera monitor. To help composing your images there is an improved 0.2 inch LVF (Live View Finder) which has a 1166k dot resolution, 100% field of view, and eye-detection to automatically switch to the LVF when needed. Videos are recorded in full 1080p HD with optical zoom available and hybrid OIS working to keep your movies steady, even when shooting handheld. 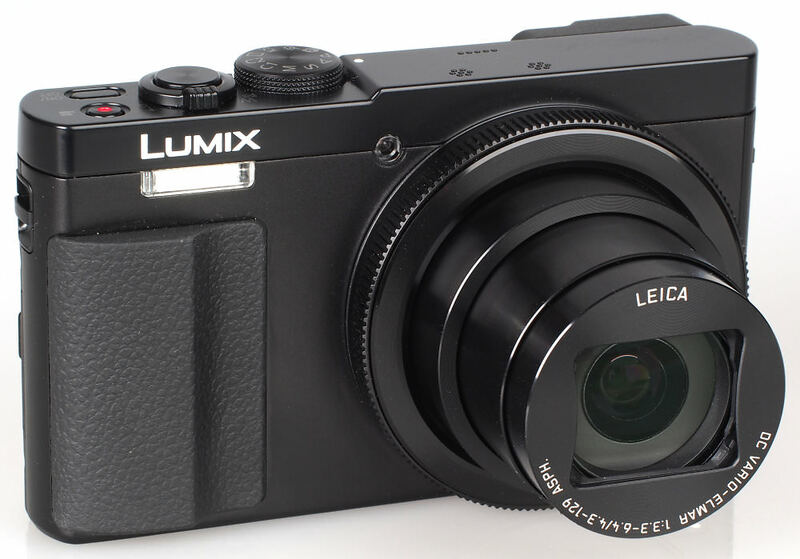 The Panasonic Lumix DMC-TZ70 has a pocketable body and is remarkably light given it has a 30x optical zoom lens. It has a metal body as well as a large rubberised hand grip on the front and rubberised patch on the rear for your thumb - this makes the camera easier to hold steady, ideal when using the zoom. The LVF has a much-improved resolution and is bright - ideal for shooting in dark conditions, although people who wear glasses may find it a little small. There is now an eye-detection sensor to automatically switch to the LVF, although there is also a button on the camera to switch to the LVF manually if required. The 3.0 inch screen has an excellent 920k dot resolution and is easy to view in varying lighting conditions. The top of the camera has a mode dial which has a total of 10 options to choose from including two custom modes. There are also movie record and on / off buttons as well as the zoom rocker and shutter release. Buttons on the rear of the camera include Wi-Fi, playback, delete, display and two fn buttons. The fn button can be changed to a number of options, such as metering mode, focus area set, quality and much more. 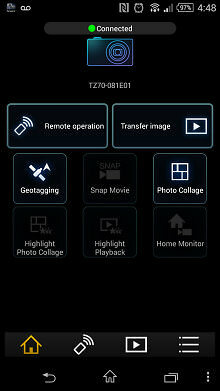 The delete button also gives access to the q. menu where you can change various picture settings such as ISO and white balance. The rear of the camera also has a d-pad with a rotating wheel which is used for cycling through the menus and changing the aperture and shutter speed when using the manual mode. The d-pad also gives access to exposure compensation, focus, flash, self-timer and continuous shooting. Around the lens is a control wheel - this also allows you to change the aperture and shutter speed. Connecting to the Wi-Fi is easy. 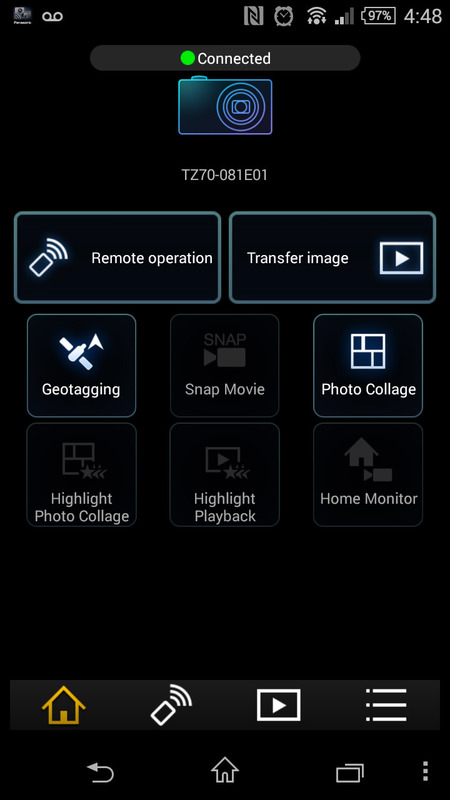 You need to install the Panasonic Image app on your mobile device, and you can connect using NFC or a QR code, or manually. When shooting remotely you can adjust the zoom and change many picture settings. 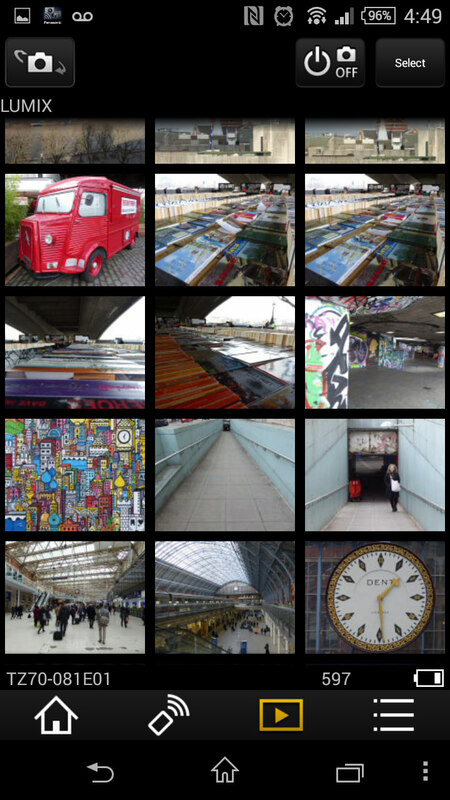 There are additional features built into the app, including a jump timer, geotagging and photo collage. The TZ70 has an easy to use menu system, with short sentences explaining what each option is for. There is a composition guide included, which is ideal for beginners to photography. Battery life is rated at 300 shots according to CIPA test results, which is excellent, but significant use of the Wi-Fi will soon see the battery power reduce much quicker. We took a number of shots to test the camera's responsiveness, from switch on to first photo, shot to shot, focusing speed etc. We take a number of shots and then use the average to ensure accurate and consistent tests, making it easy to compare with other cameras. The camera shoots at 10fps whether shooting JPEG or raw images, although the number of shots possible is a little low. Additional 40 and 60fps modes only record in JPEG at 5 and 2.5 megapixels respectively. Sample Photos - Images are well exposed with excellent colour reproduction. Portraits have good skin tones and are free of red-eye when using the flash. When using the intelligent auto mode in low light or handheld night mode, the TZ70 will take a series of shots and combine them into one image to reduce noise, at reduced resolution. There is a HDR mode included within the scene modes which combines three shots at different exposures. Lens Performance - Image detail is good at both ends of the lens. There is a little purple fringing in contrasting areas, that can be quite noticeably at times. The lens has a minimum focusing distance of 3cm, this allows you to get really close for an excellent macro shot. The lens is generally quite resistant to flare, however, with the sun in the frame it is definitely visible. ISO Noise Performance - Noise is low at ISO80 and ISO100 and continues to be so through ISO200, and 400. At ISO800 there is a slight drop in detail. ISO1600 images become a little softer, with image quality reducing further at ISO3200. The TZ70 can shoot at ISO6400, at full resolution, however noise is quite dominant. Colour reproduction is improved over the previous model, with it taking longer for colour to be washed out when compared to the TZ60. White Balance Performance - The Auto White Balance (AWB) performs excellently under both the fluorescent and incandescent lights. The incandescent preset has a slightly warm colour cast when shooting under the incandescent lights. There isn't a fluorescent preset. Panorama mode - The camera features an automatic panoramic mode, where you simply press the shutter release button and pan the camera from one side to the other. Results are good, and well stitched together, although the resolution is a little low. Digital Filters - There are a number of different options available under creative control mode. We've included examples of each above. Options include: Expressive, Retro, Old Days, High Key, Low Key, Sepia, Dynamic Monochrome, Impressive Art, High Dynamic, Cross Process, Toy Effect, Miniature Effect, Soft Focus, Star Filter, One Point Color (15 filters). Video - Below is a video recorded in full 1080p HD. Quality is good and the benefit of the hybrid optical image stabilisation can clearly be seen as the recording remains steady, even when zoomed in. 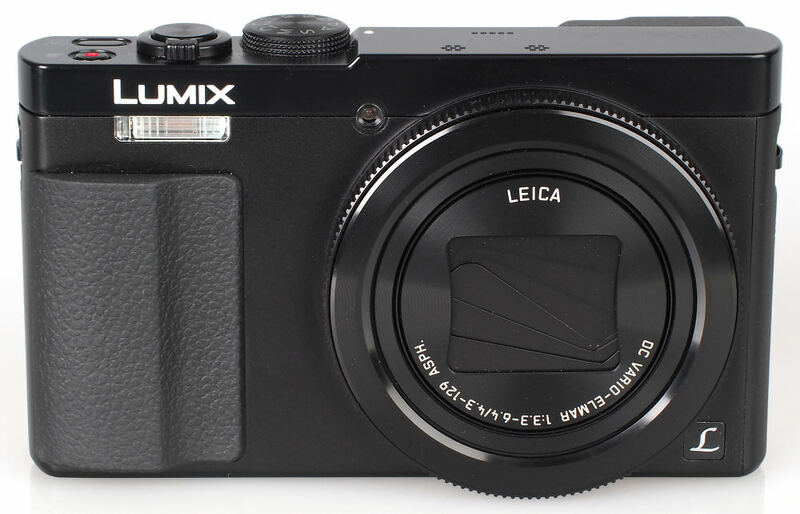 The Panasonic Lumix DMC-TZ70 is available for £349.99. There are a number of alternatives available with a 30x optical zoom lens including the Canon Powershot SX710 HS (20mp), Sony Cyber-shot HX60 (20mp), and Nikon Coolpix S9900 (16mp), however the TZ70 is the only one with the built in electronic viewfinder, and remains quite compact in this category. For additional options, have a look at our Top 10 Best Travel Zoom cameras. There aren't many pocketable compact cameras that have both a 30x optical zoom lens, and an electronic viewfinder, or LVF as Panasonic call it. The TZ70 has all the features you'd want from a travel camera and doesn't disappoint in terms of its image quality. The camera has full manual controls, and shooting RAW didn't slow the camera down. The LVF is a handy extra that you don't see on many compact cameras and its addition will appeal to many, as there are many photographers who much prefer to compose shots using a viewfinder rather than the screen. Overall, the Panasonic Lumix DMC-TZ70 offers plenty, for a reasonable price. If you want a built in electronic viewfinder, as well as better low-light performance, then the 12.1 megapixel Panasonic Lumix TZ70 is a very good choice, particularly when the competition offers 16 or 20 megapixels in comparison, which often results in higher noise. The Panasonic Lumix DMC-TZ70 focuses on improved image quality and delivers cleaner images with less noise and excellent colour. Please do comparison with DMC TZ60. I have that and am fed up with the grain and the generally poor definition on photos taken at full zoom or in lower light. Whilst my Panasonic GPS has a lot of problems with the lock, I am very disappointed that they have taken it out rather than fixed it. Please do comparison with DMC TZ60. I have that and am fed up with the grain and the generally poor definition on photos taken at full zoom or in lower light. Whilst my Panasonic GPS has a lot of problems with the lock, I am very disappointed that they have taken it out rather than fixed it. Where are the RAW samples? Can you please post some like you did for the ZS40/TZ60 review? Thanks. What is the LVF resolution? I am now given to understand that it is 1,166 Kdots! Just bought a TZ60 - hadn't realised the 70 was due: Am having similar problems as StartedWithABrownie127 Read the reviews and the TZ60 was coming up great in all - and the bonus of a viewfinder so - thought we were on to a good buy. Will have to be a bit judicious with use of max zoom. Read the reviews and the TZ60 was coming up great in all - and the bonus of a viewfinder so - thought we were on to a good buy. Will have to be a bit judicious with use of max zoom. 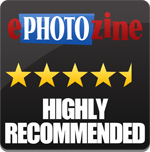 The max zoom looks quite good in the epz review images above. It's a lot to hold still, though. The max zoom of the TZ60 also looked quite good in the epz review images. In the right light, it is OK. It makes me wonder again about going back to an SLR. But that bulk... I'd go for a bridge camera but they have the same teeny sensor as the TZ60 and TZ70, 1/2.3". As a frustrated aside, whichever marketing prat decided to call a sensor by a number that is both a fraction and a decimal should be shot. I imagine it is because it sounds better, because the size has a bigger number than sensors that are in fact bigger. The sensor isn't even as big as it appears from the supposed dimension of 0.43 inches or 1.1 cm diagonal, as I found out through reading the wikipedia article tonight. Astounding. It is only a paltry 6.95mm (0.27 inches!) diagonal, 5.57mm x 4.17mm. I suppose it is amazing that from something that tiny, we get an image that if taken in the right light with a tripod, can be really good. The max zoom of the TZ60 also looked quite good in the epz review images. In the right light, it is OK. It makes me wonder again about going back to an SLR. But that bulk... I'd go for a bridge camera but they have the same teeny sensor as the TZ60 and TZ70, 1/2.3". As a frustrated aside, whichever marketing prat decided to call a sensor by a number that is both a fraction and a decimal should be shot. I imagine it is because it sounds better, because the size has a bigger number than sensors that are in fact bigger. The sensor isn't even as big as it appears from the supposed dimension of 0.43 inches or 1.1 cm diagonal, as I found out through reading the wikipedia article tonight. Astounding. It is only a paltry 6.95mm (0.27 inches!) diagonal, 5.57mm x 4.17mm. I suppose it is amazing that from something that tiny, we get an image that if taken in the right light with a tripod, can be really good. [quote] whichever marketing prat decided to call a sensor by a number that is both a fraction and a decimal should be shot. [/quote] Presumably the same idiot who thought it was a good idea if it was impossible to easily compare sensors across all the formats. Should be made to wear pants constructed using his sizing methods. Then shot. Quote: whichever marketing prat decided to call a sensor by a number that is both a fraction and a decimal should be shot. Presumably the same idiot who thought it was a good idea if it was impossible to easily compare sensors across all the formats. Should be made to wear pants constructed using his sizing methods. Then shot. I think that it probably does a decent job for the market it is aimed at. A handy camera to carry around and take on holiday without breaking your back or the bank! A 720mm equivalent zoom on Canon or Nikon DSLR? The mind boggles! I think that as users of larger sensor cameras we expect too much from these little cameras. It is always difficult to accept the limitations of moving downwards. The general public (of non-enthusiasts) would probably be quite happy with it. Horses for courses etc. For a small sensor it does well. The colour rendition is excellent and it is fun to use. The big gripe is the nonsense of the RAW files. Lightroom does not open them and you have to download Silkypix which doesn't convert them to DNG so the best you can do is an uncompressed TIFF file. It is about time Raw files were standardised. It is not a replacement for a DSLR but it is a great camera to always have with you. You omitted one negative in your summary: the pathetically small buffer makes the camera virtually useless for action shooting. 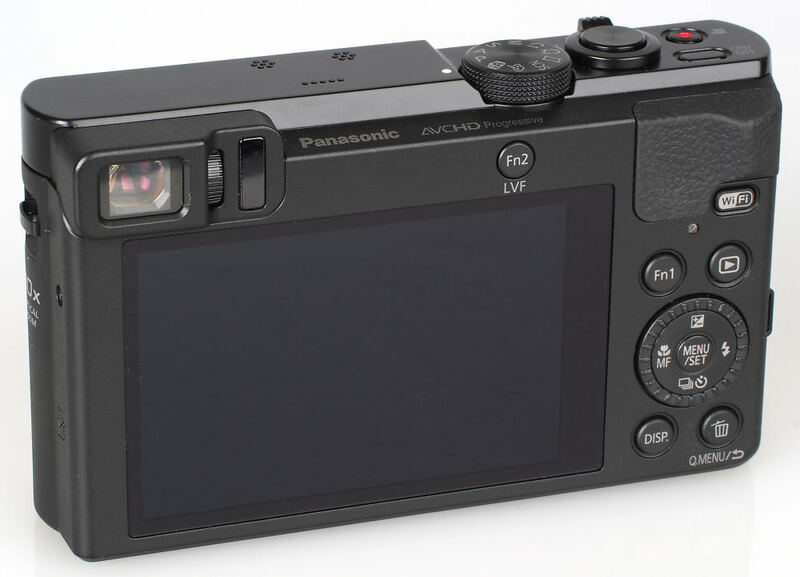 This is a major flaw, and a major surprise coming from Panasonic, who usually have very good burst shooting specs. The description says "You can geotag your images with the built-in GPS." but there is no built-in GPS. Quote:The description says "You can geotag your images with the built-in GPS." but there is no built-in GPS.